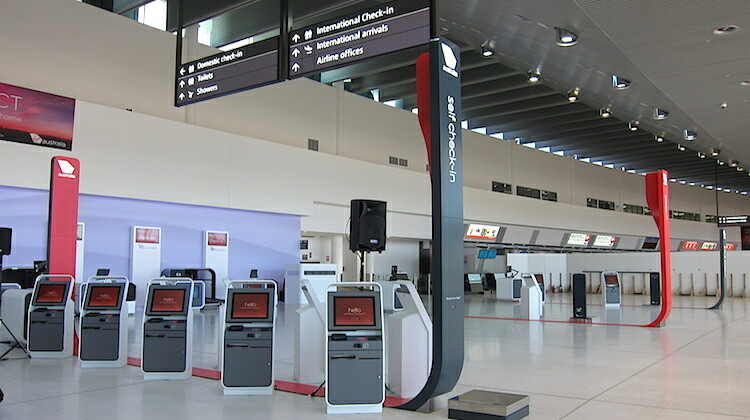 Self-service kiosks have changed the role of customer service agents. The International Air Transport Association (IATA) has forecast significant growth in ground operations, customer service and cabin crew roles, as well as the increasing use of outside training providers to improve the quality of aviation training. 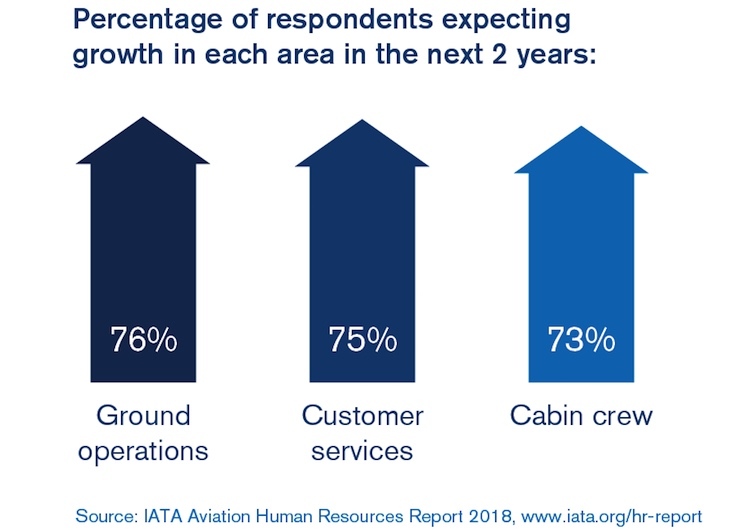 While there has been much focus in recent times on where the next generation of pilots and engineers are going to come from to support the expected growth in passenger numbers in the years ahead, the IATA report focused on other roles across the aviation spectrum. 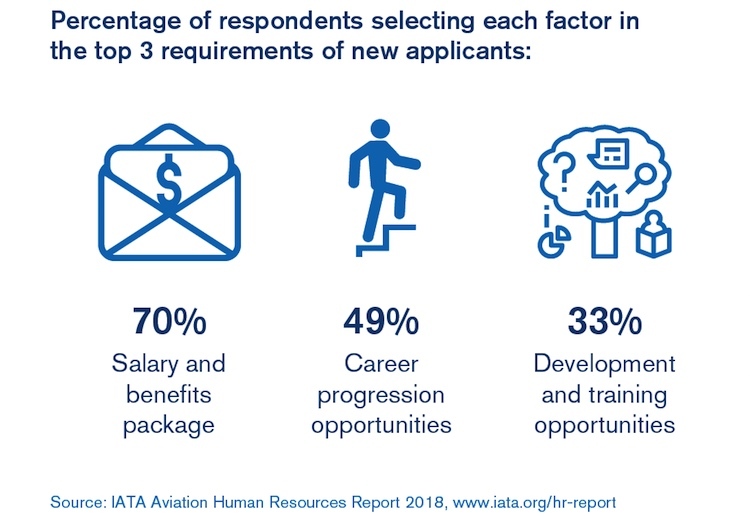 “Job growth and demand is dependent upon a wide myriad of interlinked factors, which can differ depending on the exact job role in question,” the IATA Aviation Human Resources 2018 report said. “However, one consistent driver of growth across all job role areas in aviation is seen to be the anticipated increase in passenger numbers. “This growth is not just a short-term spike,” the report said. The report also outlined areas where technology and cost-reduction initiatives had the potential to decrease job numbers, with roles most at risk including management and finance and accounting. “When it comes to management roles, 57 per cent of interviewees believe cost reduction initiatives may lead to job cuts, whilst, for finance and accounting, 61 per cent of interviewees think the introduction of more efficient practices could reduce staffing levels,” the report said. The report found HR managers expected to increase the proportion of HR spending with external specialist training assistance, with 56 per cent describing their training as only “quite effective”. “Across every region, over one-third of the survey respondents expect their businesses to spend more on external training over the next few years,” the report said. Kenya Airways head of learning development Mbithe Anzaya said there had “definitely been a benefit” when the airline has used external suppliers for training, particularly in areas such as leadership and mentoring. “Bringing people in from the outside provides a new pair of eyes and a different perspective, which helps staff to think differently,” Dr Anzaya said. IATA director of training and consulting Guy Brazeau said it was an exciting time to be in the aviation industry. “We were really looking forward to receiving the results of this industry survey and we hope it can be helpful to guide HR professionals in their decisions regarding staffing planning, training opportunities and areas to focus on as our industry grows to unprecedented levels,” Brazeau said. The report said recruiting new workers was the greatest challenge for HR professionals, ahead of retention, training and development and retirements. The two main factors behind this were the availability of applications with the right skills and qualifications, as well as the salary demands of new applicants. “The challenge facing the industry is that recruitment is tough,” IATA said. The importance of recruiting new workers is even more important in the context of figures from the report which showed the highest rates of turnover were in ground operations, customer services and cabin crew roles, the three areas of strongest demand. Air China Cargo deputy general manager of HR Li Wang said aviation was competing with many industries for the best talent. “When we’re recruiting from the labour market, we are obviously being compared directly with other companies,” Li said. While increasing use of technology such as mobile check-in options and self-service kiosks has led to a reduction in demand for customer service jobs, the respondents believed there would be an increasing number of customer service roles. “The answer is that the rise of self-service and automation isn’t eliminating customer service roles, rather it is changing the job description – arguably making it more important than it has been historically,” the report said. “As traditional customer service roles (such as check-in) are automated or become self-served, fewer staff will be needed behind fixed desks. Instead, customer service in aviation is set to become much more about interacting with customers at any point in their journey, answering complex questions on the spot, and improving their overall in-airport and in-flight experience. Qatar Airways vice president for talent development Brendan Noonan said he believed customer service roles were unlikely to ever become obsolete. “Often people talk about how the check-in agent will disappear as technology takes over and allows the customer to check themselves in,” Noonan said in the report. The report, which comprised responses from more than 100 human resources professionals at airlines, airports and ground service providers, said it did not look at the pilot and maintenance shortages in the industry as these had been “widely covered in the industry already”.